Some of us were blessed and moved into a house with a generously sized closet. Other of us weren’t so lucky. With the holidays on the horizon it’s important to have room for all your festive sweaters and party outfits. This can be a hard thing to manage if you’re in a less than desirable closet situation. Handyman Matters is here to prove that even the closet-less this year, with the right organization, can have the wardrobe of their dreams. Are you sharing a closet? If you are living with a significant other, odds are, your closet is not just your own. While separating goods isn’t all that complicated, creating enough space for a two in one wardrobe is. The key is to keep drawers low, and racks high. Oversized dressers are something to avoid in this scenario. Not only do they take up large amounts of space, but they also usually end up being disorganized drawers of balled up clothes. What kind of closet do you have? This will help to determine the kinds of things you can fit into your closet or, potentially, your DIY closet needs. Do you have a reach in closet, walk in closet, tiny coat closet, no closet, or an extra bedroom closet? Measure your viable space, think about blind spots (dark corners, parts not visible from the door), think about height, and keep a little list of these notes on you for when you look for organizational installs. Do you have a lot of long dresses/jackets? If so, you will want to place you hanging bars higher, and this may limit the amount of shelves you can add on. If not, consider hanging a tiered rack on the back of your closet door, and using the rest of the space for parallel shirt and pant bars. Shoes are pretty much the main determiner of where you put your shelves. Some of us need a series of like five shelves to house everything, but others of us may be able to get away with just a short rack at the bottom of the closet. Another thing to factor in is racks aren’t boot or large shoe friendly. Typically men’s shoes or multiple pair of over-the-knee boots call for adjustable shelves. Shelving provides more storage capabilities for long or tall shoes. What are your options if you don’t have a closet? Wardrobes are a wonderful solution for the closet-less. They often come with shelving and drawer add-ins as well. However, most wardrobes run at about $200+, and can be a pricey investment, especially for those with larger clothing collections. The best solution to this conundrum is rolling racks. These can be made, DIY, from piping, or purchased for very little (some start at $15). Make sure to organize your clothes in an eye catching way, as these racks will be exposed. Unorganized rolling racks can really bring down the aesthetics of a room. Try tiering your clothes by color and length. All dark colors together, tees first, then button ups, then tunics, then dresses – mini/midi/maxi. ALGOT – Closet system from Ikea. Elfa – Closet organizing system from The Container Store. Garment Rack – Bed Bath and Beyond. Word got out that you wanted to serve Thanksgiving this year, and your guest list has been growing ever since. Hosting a crowd over 10 is hard for most homes. 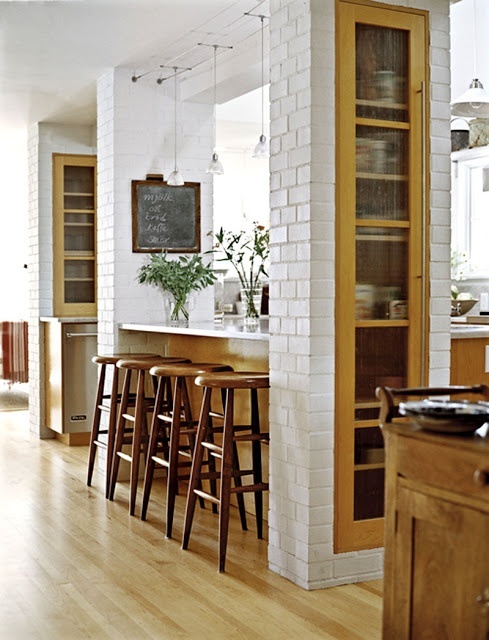 Kitchens can be tiny, and dining room small or nonexistent. While it may not be very self-explanatory, opening up a living space to make room for company doesn’t have to require renovation. Handyman Matters has some tips for you to help get the most out of your smaller spaces. Even though the temperatures are dipping, this doesn’t mean that you still can entertain outdoors. Grab some heat lamps and take your Thanksgiving dinner outdoors. 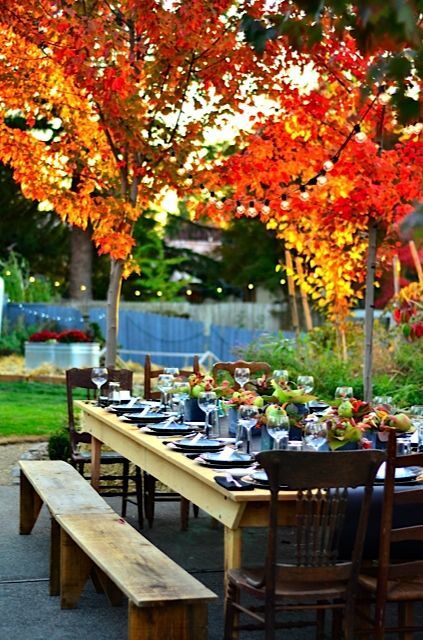 Using a rustic picnic table with bench seats will help you optimize seating capacity while adding a very fall aesthetic. The great think about bay windows is they can easily be transformed into bench seating. All you will need is a bench pillow and voila! This can also be a great way to squeeze in an extra table next to the window. Take advantage of your passthrough! Passthroughs are one of the most versatile things to happen to a kitchen. They can be used as bar seating, or as a buffet. This is especially helpful when it comes to Thanksgiving. Seating the kids at the bar, or keeping your food off the table will free up a lot of space for more guests! Company often requires some amount of temporary redecorating. If you have a small dining room that won’t fit the 12+ person table you need, try swapping it with your living room. Temporarily moving seating into the dining room, and the table into the living room with create the larger dining space Thanksgiving requires. Additionally, you’re dining room will double as an intimate lounge: a comfy place to have pre-meal drinks. 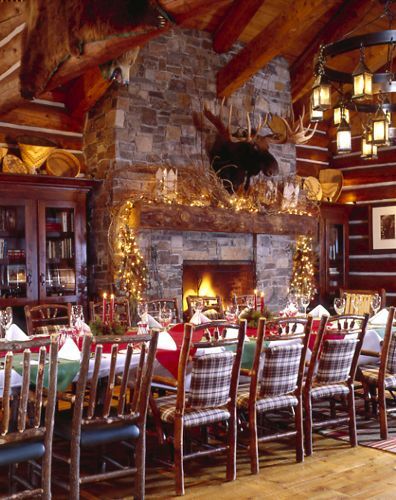 Heating your home from the floor up is a wonderful way to trick your holidays guests into think they’re at a spa. Walk around barefoot without getting cold! Best suited underneath stone, concrete or ceramic tile. Wood floors can work as heated floors as long as you find a carpenter who can measure them so that they can expand. However, in order to add these to your home, you will need to tear up and install new floors. While hot air does rise, if you start it at the floor, you will cover heat key areas before the warmth begins to dissipate. These can run a little pricey. The most affordable option when it comes to heated floors is Hydronic floors. They run off a boiler or a water heater. Consequently, hydronic floors are difficult to install. In the long run though, their cost effective nature will out-weigh the negatives. If you’re not yet ready for headed floors, a cozy carpet will be your next best option. Before shopping, consider the needs of the area you’re looking to cover. Is this a high-traffic hallway? Is it going to be a cozy addition to a living room? With it be at risk for food & drink stains? Here’s a carpet breakdown. You have Plush and Saxony carpets, which are high pile, soft, but they easily show footprints. These are for your living rooms, bedrooms, and libraries. Then there’s Berber and Textured carpets. These are low pile, and they’re good at masking dirt and footprints. Ideal for hallways, foyers, and dining rooms. The one type of carpet that can hide dirt and is also plush is the Friezes. It’s for those of you willing to pay for an all-in-one kind of carpet. For those of you who currently have wonderful wood floors, don’t worry. You don’t have to get wall to wall carpeting or heating floors to stay warm this winter. Just add a rug! They can also double a way to keep larger furniture items from sliding around on the wood. Try a Persian inspired rug for your dining room, or a shaggy carpet for your living room, or a bamboo mat for your kitchen. For the technology obsessed, there’s a little gadget called the Nest. Some would say it’s better than adding cozier flooring as the Nest self-regulates, learning your homes preferred temperatures, and sensing when to lower heating if inhabitants are out of town. You can also control this from an app on a smartphone. So, if you find yourself watching a snowstorm from work, you can set your temperatures a little higher so it’s extra nice when you get home. The comfort formerly know as heating up your car in the drive way.